Mt. 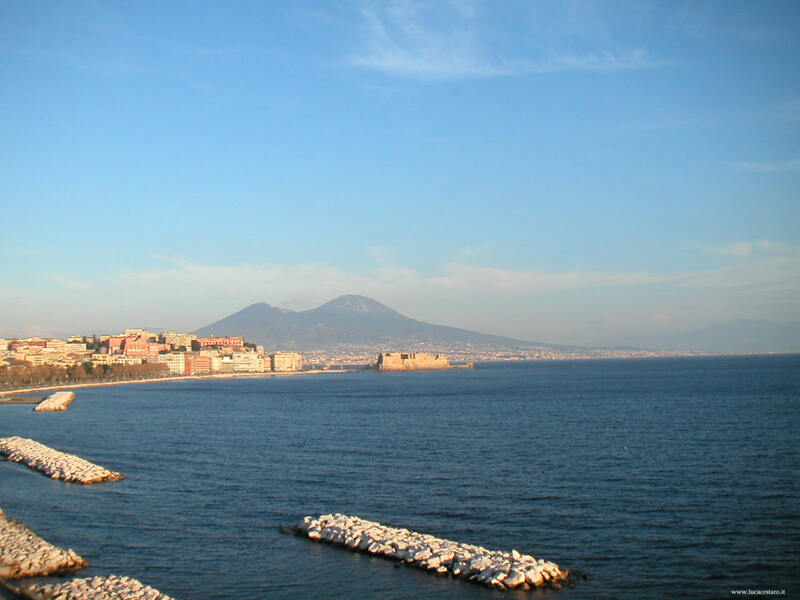 Vesuvius is the best known volcano on Earth; it dominates the Bay of Naples with its characteristic cone. 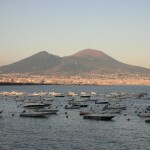 It is a typical example of a volcano in a volcano made by an outer broken cone, Mt. Somma (1133 metres), in which there is a younger cone, Mt. 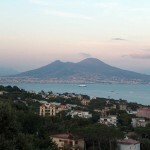 Vesuvius (1281 metres), divided from Mt. Somma by the Valley of the Giant, a part of the ancient caldera where in a later period, perhaps during the 79 A.D. eruption, the Gran Cono (Great Cone) or Mt. 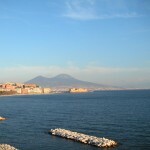 Vesuvius arose. The Somma’s ancient crater is well preserved as far as its entire northern part is concerned, in fact in historic times it was less exposed to the volcano’s devastating violence, because it was well protected by the height of the internal face that has prevented the downflow of lava on its slopes. 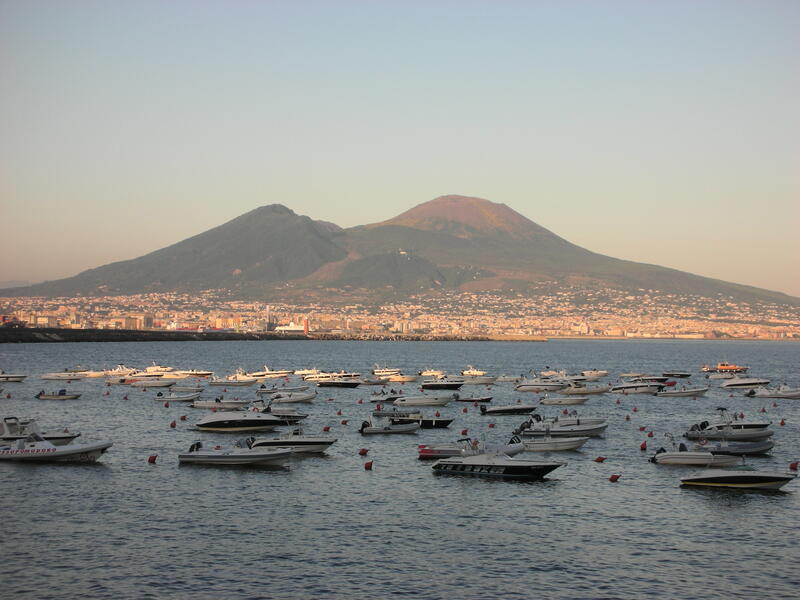 While the height of mount Somma and its profile have remained the same for centuries, the height and the profile of the mount Vesuvius have suffered considerable variation, because of the following eruptions, with raisings and lowerings. 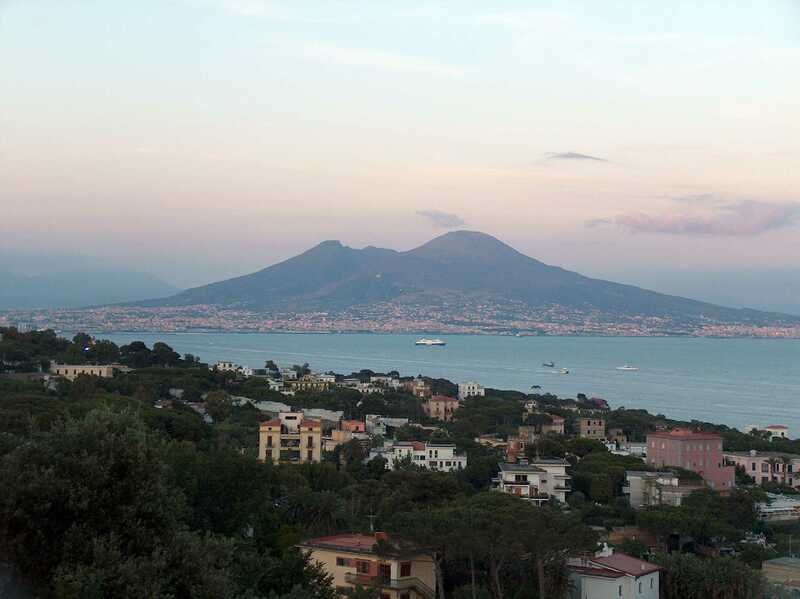 Proceeding along the rim of the crater, one can observe the whole extent of the southern part of the volcano and, during days with good visibility, it is possible to see the entire gulf of Naples, from the Sorrento peninsula to Cape Miseno, Procida and Ischia. It is also possible to note the large number of buildings which have been built on the vulnerable slopes of the mountain. from the 2005 it is also a museum under the open sky, because its roads house 10 colossal sculptures. The permanent exhibition is called Creator Vesevo.